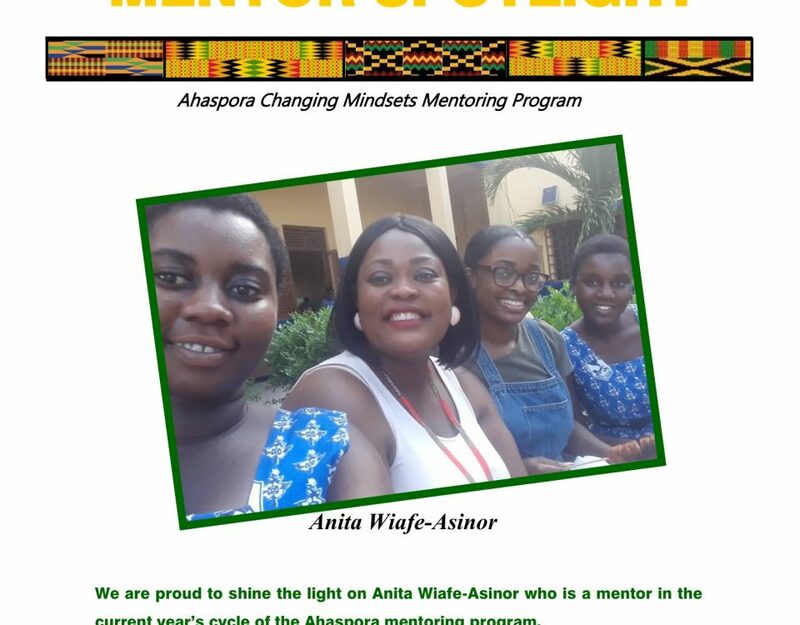 Prior to my attendance of the Ahaspora Mentorship conference in December 2017, I’d submitted an application for which I waited anxiously for a decision. As it turned out, I had been chosen and I was very excited! As I journeyed to the World Bank Ghana office for the conference, I wondered if attending this program would be worth it, seeing as I’d turned down invitations to Christmas parties which coincided with this event.I kicked these thoughts out of my head and delved into conversations about my country, my continent and my career. 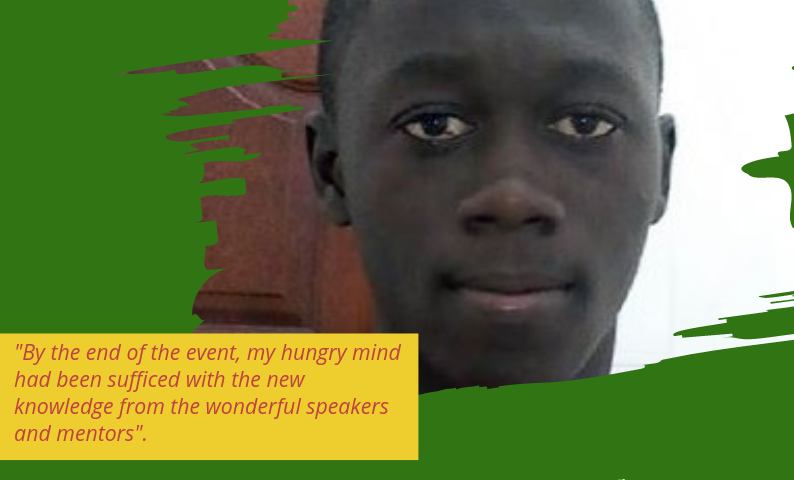 By the end of the event, my hungry mind had been sufficed with new knowledge from the wonderful speakers and mentors. I loved the people, the food, and the conversation and above all, I loved the experience. Ace Annan Ankomah, a renowned Ghanaian lawyer, was one of the two keynote speakers at the program and as I engaged him in the conversation about the African continent and the reasons why Diasporans must return to support the country, I learnt way more than I ever knew. Before he left the stage, he thrilled me by giving me an autographed copy of his latest book “Is There Not a Cause to Rant”! Former Deputy Minister for Tourism, Culture and the Creative Arts, Hon. Abla Dzifa Gomashie was the other speaker who shared with us her uneasy experience in deciding on a career path, which I found highly relatable. I got assigned to my outstanding mentor, Andrews Lartey, who was the definite description of what I wanted my mentor to be like. 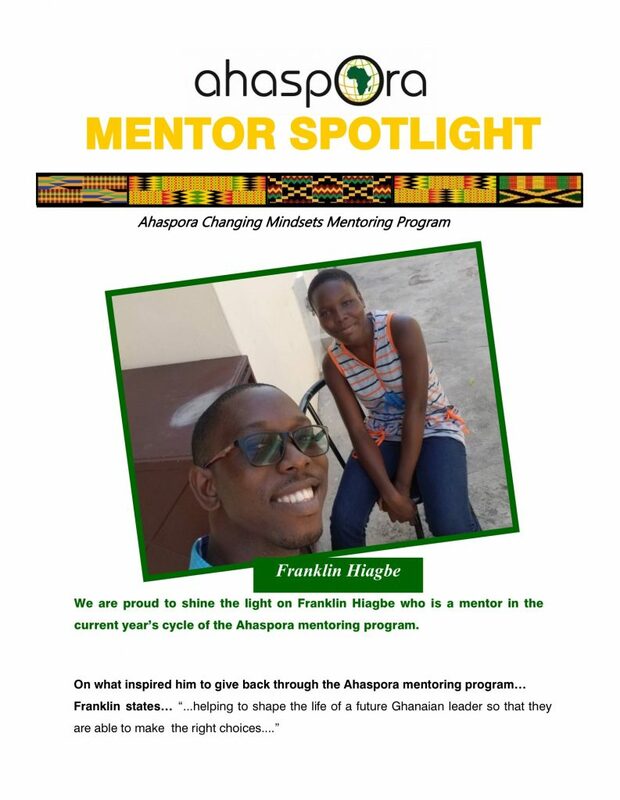 For one, I thought Ahaspora produced avatars as we got along quite well together with my fellow mentee, Emmanuel Botchway (also Andrews’ mentee). After the event, we frequently met at the Lancaster University for entrepreneurship lectures and seminars which I really loved and still do. I mostly left these edifying session with brainstormed business plans. Andy – as we came to call our mentor – was always readily available to render assistance whenever we contacted him and is currently helping me with monetising my blog, Neystreet. Additionally, he encouraged me to write and share via the famed Medium website where I frequently aired my views on political to social issues. 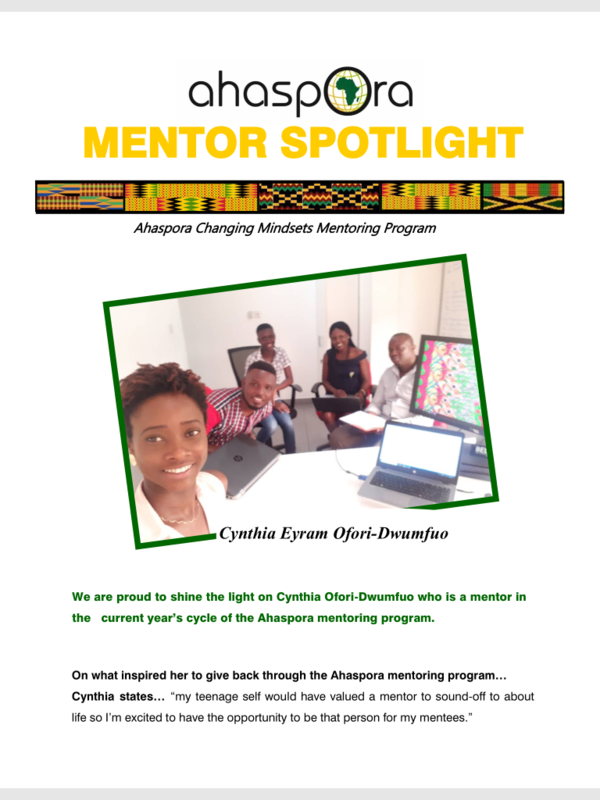 At the end of the mentoring conference in 2017, Ahaspora founder, Christabel Dadzie mentioned that Ahaspora was the local partner of the Yale Young African Scholars (YYAS) Program and subsequently suggested that we gave the application a try. In the minds of most of the mentees present, we decided to give YYAS a shot. 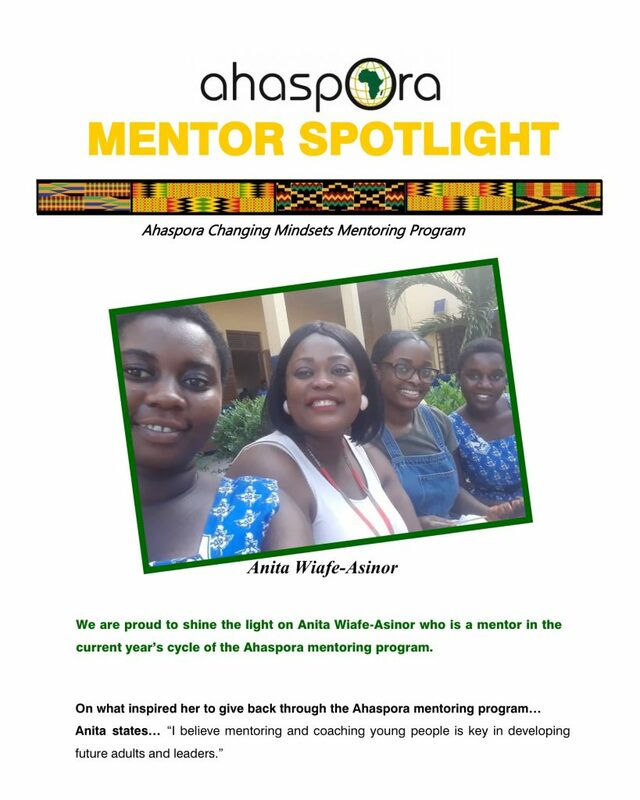 With the help of my informative school counsellor, Ms. Michaelina Quaye, who is also a part of the Ahaspora community, I made it into the esteemed YYAS program in August 2018, organised by Yale University and Higher Life foundation. There I met 4 other Ahaspora mentees who similarly made it through the competitive application process. 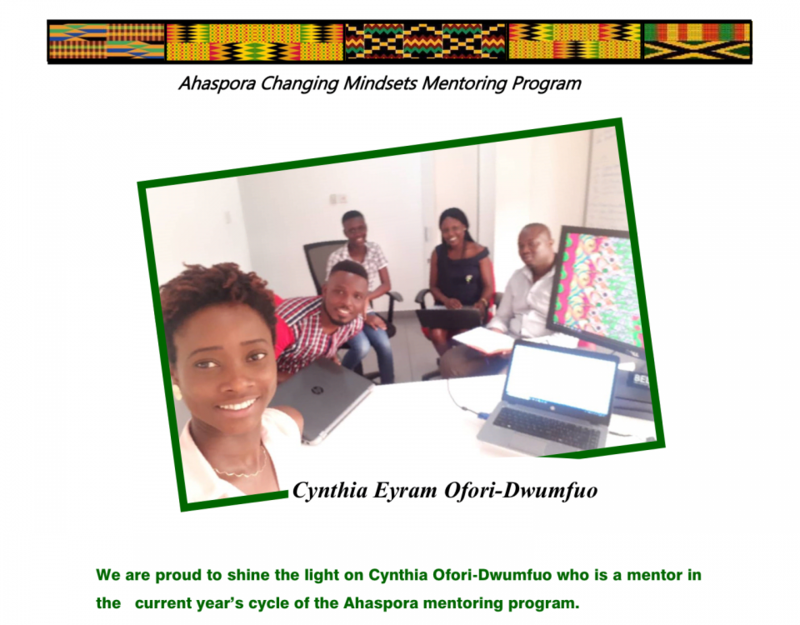 Exactly 11 months after I first joined this community, the skeptical thoughts of the impact Ahaspora could have on my life has never resurged, and I no longer wonder if joining Ahaspora was a good step towards my dreams and aspirations. 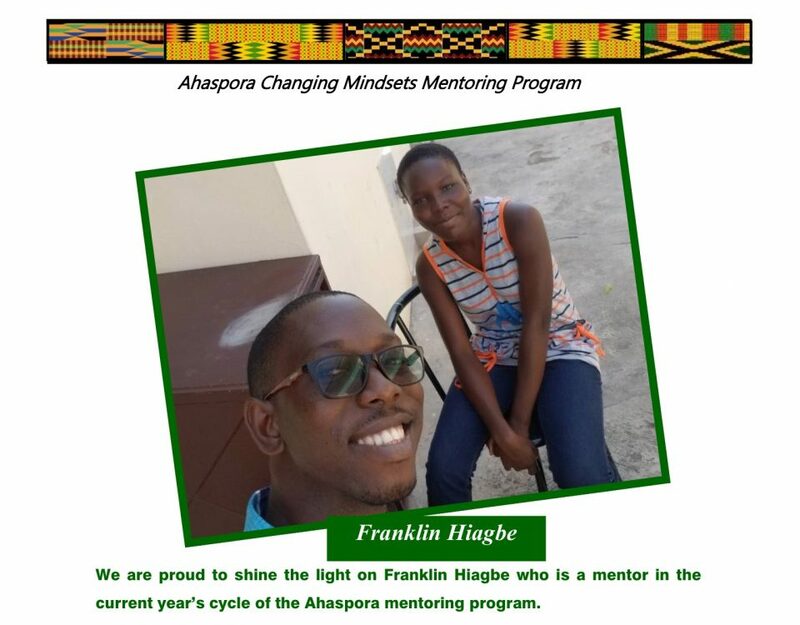 I am currently working with my school counsellor to introduce more students from my high school to the Ahaspora Changing Mindsets Mentoring Program. I had an amazing experience and as the applications reopen once more, I suggest, without hesitation, that all smart high schoolers add this program to your bucket list. Trust me – it’s indispensable!